HyperX, the gaming division of memory storage giant Kingston Technology, has today announced a new line of 'Gaming microSD' cards for North America. 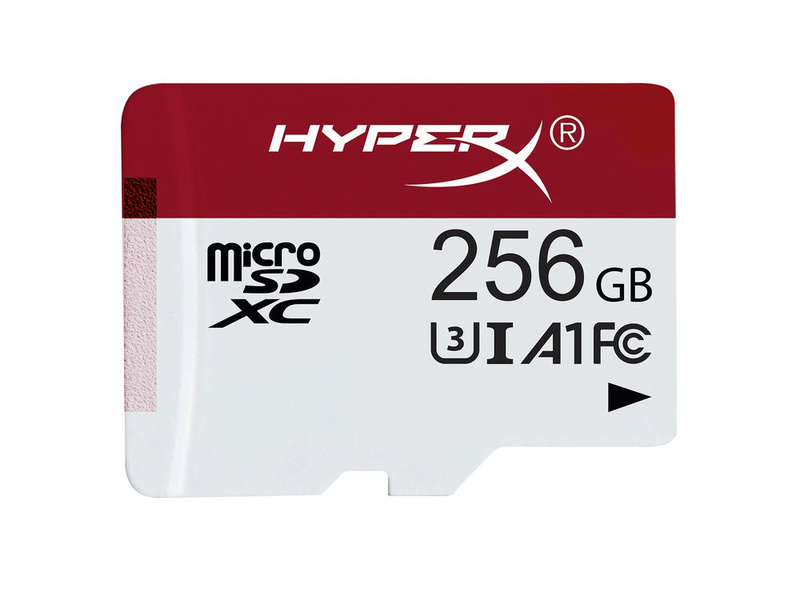 Designed specifically for use with Nintendo Switch and mobile devices, the HyperX Gaming microSD cards feature read speeds of 100MB/s and write speeds of 80MB/s1, meeting the console's standard requirements. The range consists of 64GB, 128GB, and 256GB capacity options, allowing you to store a nice selection of your favourite downloaded titles, ready to be played on the go. If you're interested, the full tech specs are listed down below. The cards are set to be available on Amazon in the US and Canada ranging from $49.99 to $199.99 MSRP. If you're on the lookout for a new storage solution for your Switch, you can also check out our handy microSD card guide which features a selection of products that are suitable, as well as further information on how to use them. Do you find yourself needing more and more space on your Switch? Or is the internal memory enough for your needs? Let us know with a comment below. Yep, certainly an SD card. Say it’s for a switch and charge a bit more.... like those power banks. Eh. I just bought a 128 GB SanDisk one a couple days ago for $30 so this just feels like a ripoff in comparison. Already have a 256 GB Samsung one that's been doing just fine so don't see any need for this. Only got 15 GB free left though so gonna need to start archiving games soon till larger ones are affordable. Never mind, those inflated prices are ridiculous! 85C?! The card might survive but the user wont! These are stupidly overpriced. Sandisk's 200GB microSD cards are priced just right, and are surprisingly cheap considering the going rates for microSD cards at retail in Australia. I don't intend to upgrade until 400GB (or larger) cards become more affordable. I will most likely burn the Resident Evil Revelations 2 data to a Blu-ray disc as back-up if I ever need to free up some space on my current 200GB card. Is there any news of the Anker switch battery coming to the UK yet? The sd card I got about a year ago was $120 then at 256gb, it has now dropped to $65....long story short, why would I pay $200?? Man these things have come way down in price! Cut in half in about a year. For the price of a full retail game I can now get a second card. Don't need it yet but when I do I will pick another up. @Heavyarms55 Get a Varia Suit, duh! They must be prepping for Prime 4 with that temp spec. Yo dawg, I heard you like Norfair. With a temp rating this high, you can Norfair while you Norfair! Or it's so the product won't burn when users fume in anger about how much more these cost for no reasonable difference. These are actually somehow more expensive than the official Nintendo licensed ones. $58.99 will get you an official 128 gb card on Amazon, and since this company's 64 gb is $49.99, we can safely bet that their 128 will be well over sixty dollars. I got a 256gb about a week after launch, for $75. Have 110gb so far on it. Should be all set for a while. These seem overpriced. May soon have to buy a Micro SD card but doubt I need something this fast. It only needs to be as fast as the read / write limitations a card copy of the game runs at. Well whoever does their marketing gets a 10/10 for effort. And how do they differ to regular micro sd cards that can be bought much cheaper? "Designed specifically for use with Nintendo Switch and mobile devices"
Basically same card they been selling for smartphone with a new box and price tag. As always throw the brand on and charge more money for the foolish people that don't know better. The actual specifications only seem marginally better than any other microSD and probably would not provide any meaningful or observable benefit when downloading games, loading times, or saving snapshots and video clips. Yeah, it stinks of upselling on ignorance to me. I actually got a 128gb Toshiba last year and was a bit worried as Toshiba are never mentioned in 'best of ' range. But it works wonderfully. Instant access, responsive, although I'm sure all cards are like this. Was 30 quid in a sale and well pleased. So... here's the thing - you don't want a "gaming" branded SD card. Gaming isn't even all that stressful on a card. If you're seriously worried about speed or durability, just buy one of the high speed cards from a well known brand (Like Sandisk or Lexar) that's designed for Photography/Video use. Will likely be cheaper and more reliable. The coolest thing about this card is the texture on the edge, all micro SD cards should have that. They're so darn hard to remove in some devices. I can't wait to pay through the nose for the same capacity I can find half price! Aren't there already overly-expensive Nintendo-branded MicroSD cards to con gullible normies out of their money? Slap the word "gaming" on it to squeeze out at least 40 bucks more. 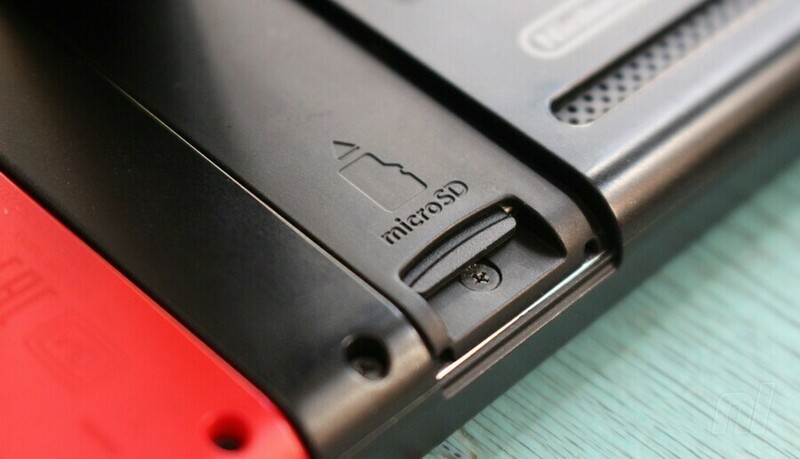 The Switch can't handle these read and write speeds anyway on the MicroSD port..
Make sure you're not missing any performance! Because all those cards you've been using designed for capturing 4k video might just be slowing you down loading assets for Mario Kart. $200 for a 256gb microSD card is such a ripoff when you can find a much better value on Amazon for basically around $70 and runs much faster. Nice! I'ma have to pick one up. These are very expensive. I currently have a 200gb samsung card that only has 1.2gb left on it. I'm waiting for the 400gb samsung card to decrease in price some more before I even get another SD. No thanks, I'll stick with SanDisk. Speaking of - 200GB (100mbs) for $48. This is what I have on mine. I saw this earlier and didn't want to trash them without actually checking out how the specs compare, and holy cow... These are inferior to the Samsung MicroSD XC cards, which are half the price. At least the power bank was the smallest ever released USB-C PD battery to date, which offered value for someone looking to carry a portable USB-C PD battery in their carry case but didn't want to take up all the room with a huge 25,600mAh version. I bought one just because of that. Mine is SanDisk 128 GB speed 100. I normally get physical versions of Switch games, but downloading Mega Man X Legacy Collection 2 required me to archive Bayonetta. So I know I need a mSD card, just not sure which would be best. @KayFiOS The best is probably the cheapest 128 GB or more micro sd-card you can get from SanDisk, Samsung or Kingston. Do not pay a nickel more than you have to. These 'branded' sdcards is merely a scam to angle more money out of the pockets of unsuspecting grand parents and other rubes with no clue. I just got a 400GB SD card when they went on sale during the Amazon prime day event. These guys seem a bit behind the industry right now. Also, $200 for 256GB? That is an awful deal, I paid only $140 for my 400GB. I've currently got a lovely 400gb card that runs all switch titles smoothly. It's not like a PC, your card only needs to be of a certain speed to run. A super fast card won't really make a difference in the game. This seems like a classic case of just slapping "gaming" on the box. A "gaming" microSD should come outfitted with tacky pulsing rainbow LEDs. ill never buy this when i can get a good branded 200gb sd card for less then 60 dollars. good bye.